Suitable for up to 5 people, this kit is ideally suited to medium sized industrial or commercial businesses such as factories & warehouses. Choose below whether you require this kit in a soft pack, medium sized wall mounted box, or large sized wall mounted box and the price and product details will adjust accordingly. 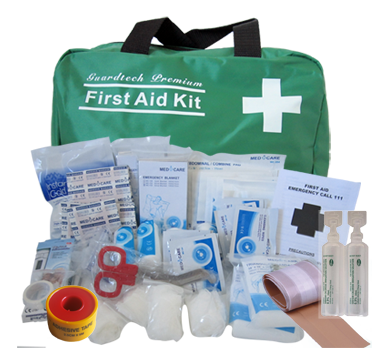 The kit contents well exceed Worksafe/OSH requirements and also includes extra items such as an instant ice pack & Digital Thermometer. We are confident that our kits are the best value for money that you will find, and we are happy to consider matching a competitor;s price for you. 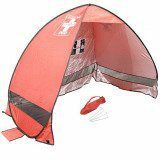 Lizanne from Northland, Michelle from Tauranga & 22 others bought this item recently. 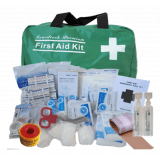 Industrial First Aid Kit suitable for up to 5 people, this kit is ideally suited to medium sized industrial or commercial businesses such as factories & warehouses. 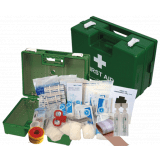 Choose above whether you require this kit in a soft pack, medium sized wall mounted box, or large sized walIndustrial First Aid Kitl mounted box and the price and product details will adjust accordingly. 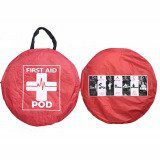 The kit contents well exceed Worksafe/OSH requirements and also includes extra items such as an instant ice pack & Digital Thermometer. We are confident that our kits are the best value for money that you will find, and we are happy to consider matching a competitor’s price for you. Have any questions before purchasing? Give us a call on 0800 101 909 and we’d be happy to help!